All other steps are the same as the steps from the Arduino Ethernet Shield. You can find examples in the Arduino IDE, go to Files->Examples->Ethernet, open any example, then copy it to your sketch file (gr_sketch.cpp) and change configuration values properly. 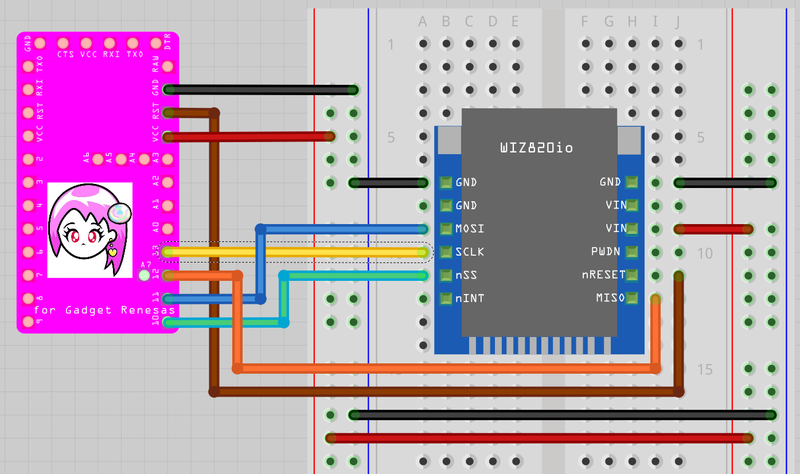 This entry was posted in GR-KURUMI, OSH and tagged Arduino Pro Mini, Ethenret Shield, GR-KURUMI, WIZ820io. Bookmark the permalink.